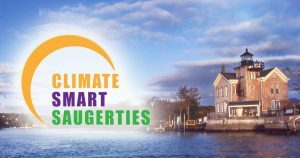 The Saugerties GoSmartGoGreen Fair is being sponsored by the Climate Smart Saugerties Task Force and the Saugerties Chamber of Commerce and is scheduled to take place at the Saugerties Senior Center on Market St in Saugerties Saturday, May 4 from 12 to 4 pm. The purpose of the Fair is to let local businesses and residents be aware of the resources available to help them save energy costs while lightening their environmental footprint. Each green energy/material supplier will occupy a table or booth with materials to distribute to attendees. Call 845-246-1337 if you have any questions about this event.